Pinnacle at the Pier is located seaside at the foot of Lonsdale Avenue in the oldest neighbourhood in North Vancouver. Once the home of the Wallace Shipyards, the area has been developed as a historical site, complete with parks, seaside walks, shops, restaurants and historical maritime artifacts. There is so much to explore… and it’s all so close. Lonsdale Quay Market is steps from the hotel. The market has more than 90 specialty shops and services. Are you going to downtown Vancouver for some shopping, dining or theatre? 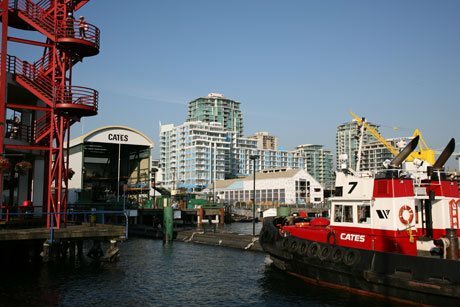 You can be there in 15 minutes because we are located right next to the SeaBus terminal. Soak up the history. Lower Lonsdale Avenue is North Vancouver’s oldest neighbourhood, and you can feel it the moment you step outside. 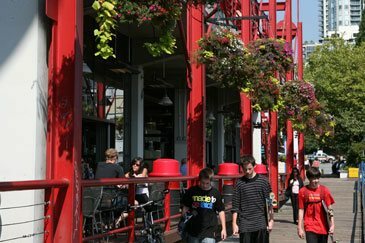 Take some time strolling through the nooks and crannies of Lower Lonsdale and enjoy some of the many restaurants and cafes along the way. Hiking, mountain biking, kayaking – they’re all within 15 minutes from Pinnacle at the Pier. Or take in some of the North Shore’s major attractions, including Greater Vancouver’s oldest attraction, the Capilano Suspension Bridge, dating back to 1886. Find out more about the things you can do while staying at Pinnacle Hotel at the Pier. 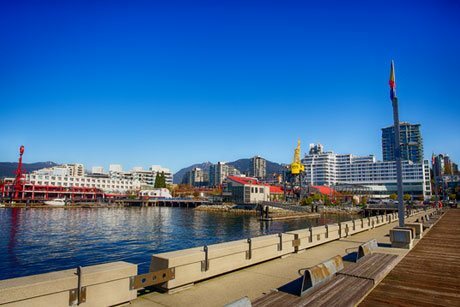 Learn about the historic North Vancouver Pier. 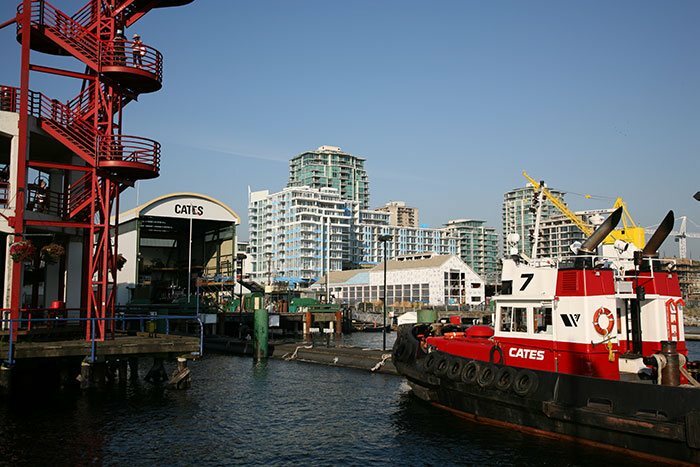 The Pinnacle Hotel at the Pier is located in the heart of North Vancouver’s historic shipyards, close to downtown Vancouver, the mountains and everything in between. if you’re having trouble finding the information you need. "It will be as profound for the North Shore as False Creek and Granville Island were for Vancouver. The Pier will open the waterfront and preserve our sense of identity. It will be the place to be... to work, to shop, create art, dine, meet and gather, stroll the seawall and the 700-foot pier. Most especially, it will be the place to live a luxurious West Coast lifestyle to the fullest—with spectacular views and the premiere recreational facilities on our side of the water." A vibrant city destination for visitors and locals alike, the Lonsdale Quay Market boasts gorgeous views of Burrard Inlet and a lively indoor marketplace full of great international restaurants, an inspiring fresh food market, and unique designs by local designers. Sit with a cup of coffee, stroll the shops, or bring your kids up to Kids Alley on the second floor for a play. Just steps from the Pinnacle at the Pier Hotel, the market and retail shops are open seven days a week. 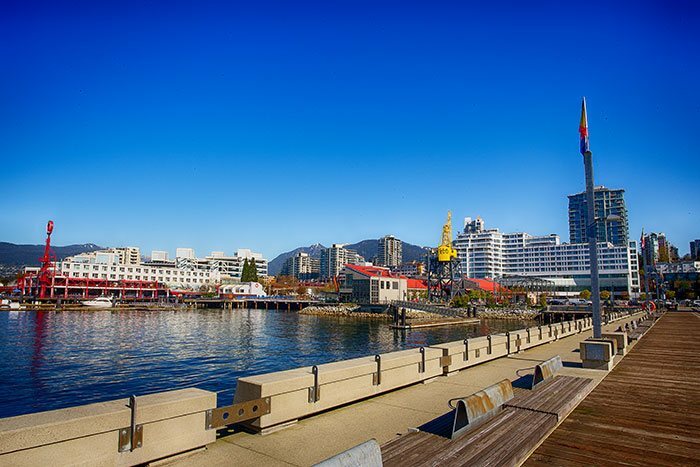 From the Quay’s waterfront station, you can also catch the Seabus across Burrard Inlet into downtown Vancouver, or hop on a city bus to get to nearby Grouse Mountain, Lynn Valley and West Vancouver. North Vancouver’s premier outdoor entertainment venues and the site of many awesome local events,The Shipyards have transformed from a busy industrial site into a gorgeously restored community space featuring a public plaza, restored piers, interpretative signage and retail/commercial opportunities. Stop by Shipbuilder’s Square during the spring and summer months to discover community stage productions, farmers’ markets, buskers and local festivals. On Friday nights from May to September, Shipbuilder’s Square is also home to the lively Shipyards Night Market filled with entertainment, live music, locally-made products, art and fresh food. 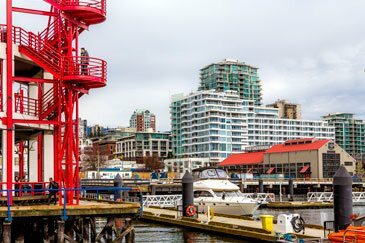 The historic Lower Lonsdale neighbourhood runs from North Vancouver’s waterfront and Lonsdale Quay area all the way up to Keith Road and the lovely Victoria Park, featuring 3.9 hectares of urban greenspace complete with walking paths, a cenotaph and a Cold War-era air raid siren. Lonsdale Avenue is a charming street lined with local retailers, restaurants, coffee houses and services. 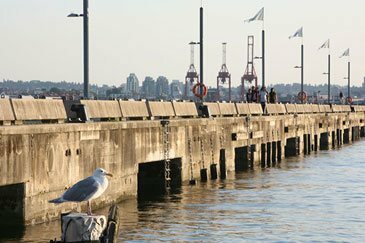 Along the city’s waterfront, feel free to explore one of city’s safe, accessible and pedestrian-friendly docks and piers for amazingly fresh coastal air, beautiful views and, of course, moorage. This revitalization project pays homage to the North Shore’s shipbuilding tradition – and the prosperity it brought to North Vancouver – within a spectacular new development featuring luxury residences (including the Pinnacle Residences), galleries, marketplaces, boutique shops and one-of-a-kind restaurants. And at the heart of it all is a boardwalk and 700-foot pier, where the only thing between you and downtown Vancouver is the rippling water and occasional boat gliding past. This is the perfect place for taking in 360-degree views of Vancouver and the North Shore. Find out more about The Pier restoration. 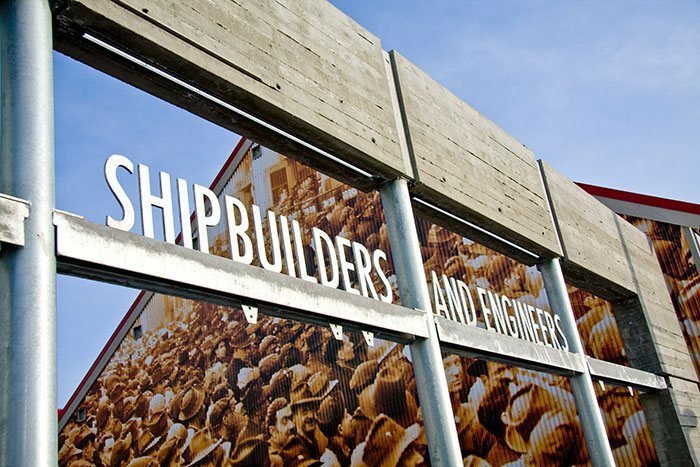 During the 1940’s, local shipyards were working heads-down, building a full third of Canada’s Victory ships for our World War II efforts overseas. That meant three round-the-clock shifts, day after day, year after year. During its nine decades of operations, the shipyards at the Pier launched more than 450 ships – a remarkable achievement and essential contributor to the economic vitality of British Columbia in the 20th Century. Find out more about The Pier’s history. calendar for information on what’s coming up.